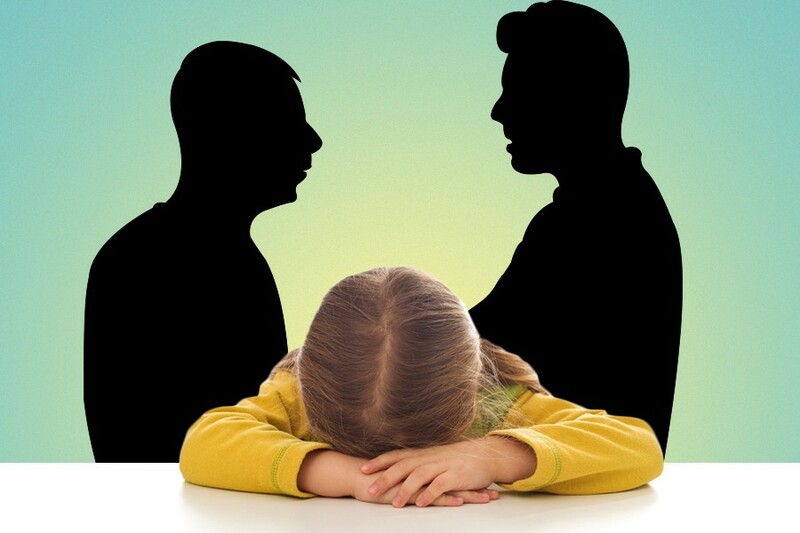 Basic Dad: Can I Stop My In-Laws From Parenting My Children in Ways I Don’t Like? It happens every year: On Thanksgiving, we go to my wife’s family’s house and I have to deal with 10 different in-laws parenting my kid in 10 different ways, all while I’m present and perfectly capable of handling things myself. Some have no patience at all, yelling at my child for being mildly loud or just being the toddler that she is; others are way too soft, letting my daughter do whatever she wants — from tormenting the dog to grabbing the wires behind the TV. None of these are things we do at home. With my own mom, I could say something because I can, you know, talk to her, but in-laws are different. I don’t know why, but I still tend to feel like they’re the adults in this situation, where I’m just the husband of one of their kids. I want to be respectful, but how do I protect my daughter from being screamed at—or, y’know, electrocuted— during every big family event? That is, how do I stop my in-laws from parenting her in ways I don’t care for? Chester, Father of One: This has been an ongoing issue for us because it seems like certain elements of mine and my wife’s families don’t understand that we aren’t going to hit our kid. We firmly believe that you can hold a child accountable without spankings, but to some, this is like we’re just letting our kid run wild. For the most part, we ignore it, but when it came to my mother-in-law, it became a bigger issue. For example, one time, when my mother-in-law was annoyed with my kid, she called her a brat. I immediately snapped at her, “Betsy, we don’t name-call. That’s not okay.” It’s because of this dynamic that my mother-in-law would reserve her judgments about our parenting style to whenever I wasn’t around: To my wife, she would regularly tout how spanking, hitting, slapping or whatever else “did her daughter good,” not-so-subtly implying that we should do the same. It became such a regular occurrence that my wife had to have a serious talk with her, letting her know how traumatizing that upbringing was to her, and how she would never replicate that with her own child. It seems to have been effective, as the comments have stopped. But obviously, we still don’t let her babysit. Matt Brescia, Father of Three: For us, the issue we have isn’t so much with my in-laws disciplining my children — it’s that they don’t discipline them. When my kids are with them, the rules are much more lenient; they can get away with things like yelling, fighting or eating garbage, three things that are definitely against our rules. Most annoying, though, is if we’re spending time with my in-laws, and we’ve given our kid a time-out, the in-laws intervene to try to get them out of trouble. When this occurs, we have an immediate confrontation about it, usually right in front of the child, which probably isn’t the best. More often than not, the discipline does happen, but it’s much harder to accomplish with their intervention. Realizing that this isn’t the best approach, I’ve tried to pick my battles better when I’m around my in-laws lately. If it’s something where the kids are fighting, for example, that discipline is always going to be enforced, but if they’re on their third ice-pop, I’ll let it go. Kathy (Matt’s Mother-in-Law): Listen, they’re my grandchildren, and I’m their grandma. They can do whatever they want; it’s not my job to discipline them. They can do no wrong in my eyes! I’m the best grandmother you’d ever want to meet — not that I’m tooting my own horn. I absolutely try to get them out of trouble. Definitely. Don’t mess with my grandkids: You can mess with my kids, that’s fine, but not my grandkids. Seriously though, I do think that’s a grandparent’s place. Unless the grandparents are helping raise these children — that’s different. If they’re in the home or they watch them during the day, then I don’t think they have that luxury — you have to have rules and everyone has to be on the same page. But I don’t get a chance to babysit all the time, so when I do, it’s just fun. Of course, I make sure they’re safe, but Grandma should be fun. Katie Helpley, Family Therapist: The best way to navigate that kind of situation is with honesty, as well as compassion for your in-laws because they’re typically coming from a good place. I believe that respectful, honest communication is the best way to handle any disagreement. Confrontation doesn’t have to be a negative thing, as long as it’s done respectfully and honestly. To a certain extent though, for the grandparent who wants to spoil their grandchild, I believe the parents should loosen up sometimes and let the grandparents be grandparents — unless it crosses a value or boundary (e.g., if it’s causing problems for the child or causing problems in the home). For the in-law or grandparent who is too strict on a child, that’s going to be different. If someone spanks your child and you don’t spank, that’s when it crosses that line of violating one of your values. Sometimes it’s best to have the child of the in-laws (i.e., your spouse) handle the conversation, but that all depends on the dynamics of the relationship. There’s always going to be a bit of a difference between you and anyone else with how to parent, but ultimately, as the parent, you’re the authority on your child. If somebody disagrees with something, you can think about it and consider if they may have a point, but ultimately, you get to decide.